What to look forward to for Sunday nights? No more #MadMen... | Boz Rocks! Madmen is done. There is nothing to look forward to watching on TV at the moment, or possibly ever again. I do enjoy The Good Wife, but it’s season is over. 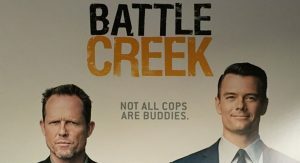 I have watched Battle Creek, but am behind on a couple episodes, and I now read it has been canceled. I thought THAT was a pretty good show! I am not a big TV watcher, and it appears I shall remain that way.. Guess I’ll stick to the NFL, NASCAR and the NHL (occasionally) and a little MLB.